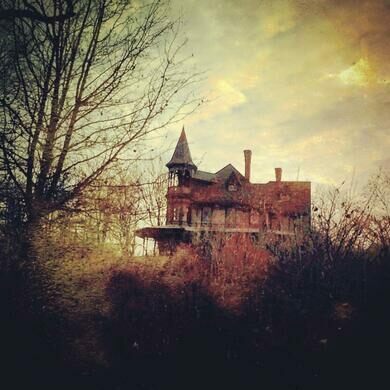 Sitting just off the Staten Island’s poetically named Arthur Kill Road is the last remaining Kreischer Mansion, a lovely Victorian home that is said to be one of the most haunted places in all of New York, which may actually be true if one is referring to being haunted by memories of murder and death. When Balthasar Kreischer came to Staten Island in the mid-1800s he brought with him terrifically successful brickworks that led to an economic boom in the area which soon became known as Kreischerville. As part of the wealth the elder Kreischer was accumulating he had twin mansions built atop Kreischer Hill for two of his sons. Unfortunately Balthasar died just a year after they were completed, but given what followed it is perhaps for the best. After the elder Kreischer’s death, the brick factory his children inherited burnt to the ground. The family tried to rebuild, but the blow was too great and their fortunes soon fell, leading to one of his sons committing violent suicide in the mansion that stands today. Of the two Kreischer mansions, one was destroyed during the Great Depression, but the other, where one of the Kreischer sons died, managed to survive despite the family’s poor fortune. However the ornate gothic house soon became the target of local superstition and all manner of ghost stories involving strange voices and lights began to surround the mouldering manse. Despite its reputation, it was never completely abandoned but no business or resident has managed to stay there for long either. Adding credence to the creepiness of the house is the very real crime that occurred there in 2005. On the order of a mafia boss, the caretaker of the empty mansion was paid thousands of dollars to carry out a hit at the site, which he did, dismembering the body and burning it in the basement furnace. Strange sounds indeed. Today the Kreischer Mansion is back on the market and the ghost stories continue. With any luck the next tenants will have better luck than the last century’s worth of ill-fated inhabitants. A giant light 13 feet high shines near Thomas Edison's old lab. Surrounded by lonely toys, this Massachusetts gravestone marks the final resting place of six children who were murdered by poverty.